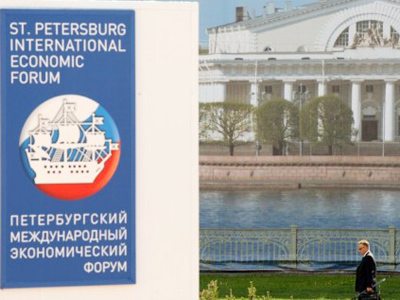 A country free of corruption, and a move towards modernization and the World Trade Organization - that is the future President Dmitry Medvedev has outlined for Russia at the St. Petersburg International Economic Forum. 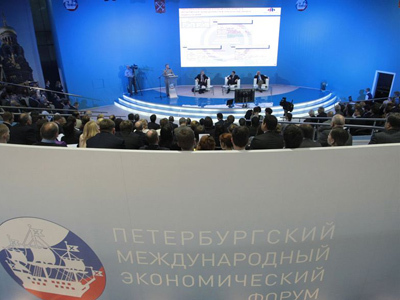 Modernization was the main theme and according to Medvedev is connected to all of Russia’s problems and challenges that it faces. 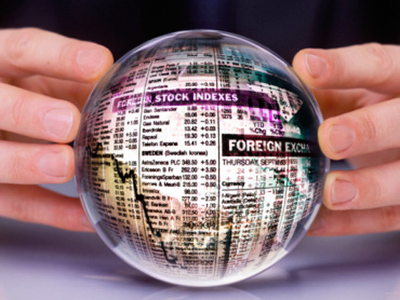 The president has defined key steps that are vital for Russia to move forward in its push to modernize the economy. The president also mentioned that he believes that this push for modernization in Russia has to begin with society having the desire to unite to modernize their country. With that, he believes, Russia can really become the biggest and most effective economy in the world. 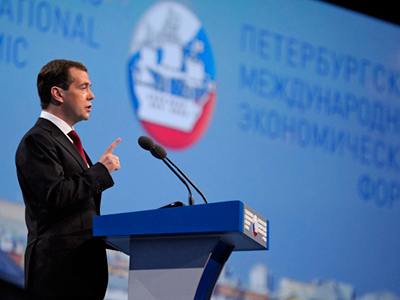 Medvedev also pointed to a fight against corruption as a key to Russia’s future. He said, quite harshly, that corruption is literally choking the economy, and that people who are doing this need to be taken care of. In terms of corruption the president also spoke about government reforms and decentralizing power. The judicial system is suffering serious problems and needs to be reformed as well, according to the president, a topic that he often touches on. He believes that tendering for judges and making them accountable for their decisions is an essential step for building an effective court system, something that everybody requires. 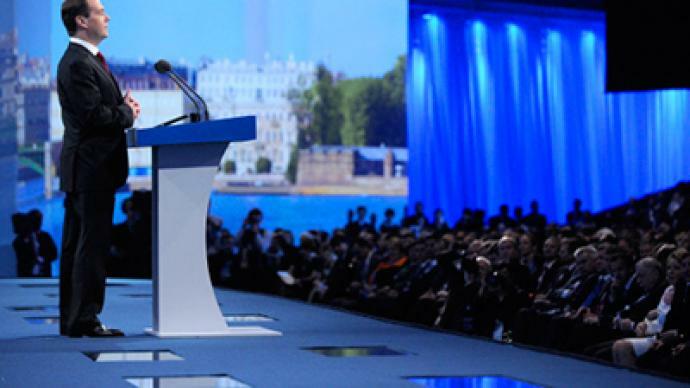 Viktor Kamyshanov, from the International Federation for Peace and Conciliation considered President Medvedev’s intentions to be a positive step toward development and modernization. ­Professor Daniel Treisman from UCLA says that steps to solve problems which are hampering the process of moving toward modernization needs to start at all levels simultaneously.